On the other side of this bloodied snowy plain stands Thor, God of Thunder and Mythic Norden’s warmaster. His thousands of einherjar charge at you and your two comrades. Mortals watch from the distance, unable to turn their gaze away from the oncoming storm. As the horde charges, you let out a bellow that drowns them all out, shaking the very earth beneath their feet. Armed with your sword, loyal wolf companion, and your wits, you and your friends dive into the fray. It’s pitiful. These fools don’t stand a chance. You’re a Mythender! 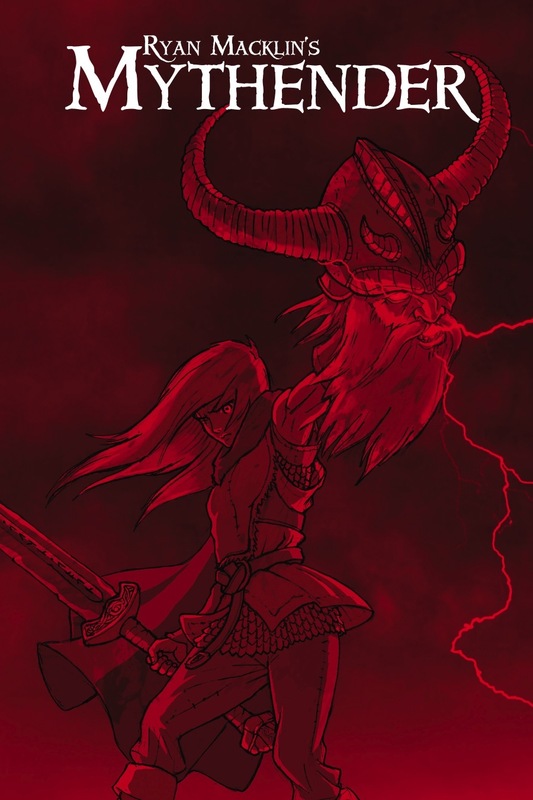 Mythender is a roleplaying adventure game about stabbing gods in the face and sundering every mythic being until there’s none left. It’s a game about power and temptation, as you are constantly in danger of being the very gods you’re Ending–and when that happens, your friends will End you. This free–yes, free!–game is for three to five people, and a session takes around four hours from character creation to slaughtering a god. It takes place in a heavy metal take on mythic Scandinavia, known as Mythic Norden, but Mythenders can End gods anywhere! Check out MythenderRPG.com for info, play aids, and more! 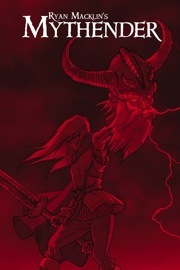 Winner of the 2012 Indie RPG Award for Best Free Game!